I appeal to all the Shudra/OBC/SC/STs to celebrate the Indian English Day on 5 October, 2018 as we have no significant place in the world of English even after 201 years of English education in India. The first ever Indian English school was started in 1817 in October by William Carey and Rajram Mohan Roy. But the Shudra/OBC/SC/STs are excluded from learning this language as it is pushed to private sector education. We need to own that language as ours and learn it with vengeance. We have never been allowed to learn any Pan Indian or global language for millennia. Even now the conspiracy of English educated Brahmin/Bania intellectuals is to deny this language of power and glamour to us. It is a coincidence that my birthday, much later in 1952 falls on that day. It is also international teacher’s day. I was born in a shepherd family which had no right to education in any language. However, I went to Telugu medium school in the early sixties and learnt the English language I speak and write on my won with an undaunted struggle. I then realized this language has the power to liberate education starved SC/ST/OBC/Shudras. The Indian Christians (mainly Catholic) taught English only to Brahmins and Banias but not to the Shudra/OBC/SC/STs for long time. Now scores of world class English medium private schools, colleges and universities are coming up with the tacit support of the ruling Rastriya Swayamsevak Sangh (RSS) and the Bharatiya Janatha Party from power position at Delhi. They too left Sanskrit to their gods and worshipping the goddess of English in private. Even now the best Christian and Non-Christian private schools teach mainly to Brahmin/Bania/Kayastha and Khatris as they have biggest economic resource at their command. As a result Delhi is being ruled by these four castes, whosoever is the Prime Minister of the country. Naredra Modi (OBC) and Amith Shah, though non-English speaking Bania, rule in the political sense, all the top industrialists, politicians, bureaucrats, economists, media men/women, educationalists, mainly coming from those four castes with good command over English rule India. The complete control of the RSS over central power structures has not changed the power position of the Bania/Brahmin English class of India. The English speaking and writing ( most of them are BJP spokes persons on English TV channels) intellectuals cannot win elections hence get into Rajyasabha as Arun Jaitley, (earlier Arun Shourie did), Nirmala Sitharaman, Prakash Javadekar, Ravi Shankar Prasad, Smriti Irani, Swapan Dasgupta, Rakesh Sinha, GVL Narsimha Rao and so on did. They become rulers and policy makers. Hardly any Shudra/OBC/SC/STs is there in this crop of rulers. Dr. Manmohan Singh, Jayram Ramesh, Abhishek Manu Singvi, Manish Tiwari, Janardhan Dwivedi and so on during the Congress regime ruled through same channel of entry into power positions. This caste- class that controls the nerve centre of the nation is in every major national political party and the English language is their main instrument. The present English speaking and writing intellectuals, who rule India through Rajya Sabha, are strong RSS army men and women. Hence it now says the “RSS is not opposed to English language” and wants the English education to remain in private sector but not in the state sector. 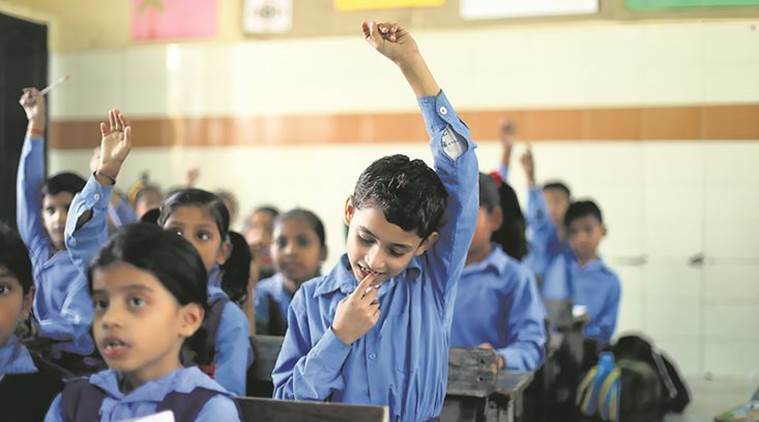 It is fully supporting the establishment of private schools, colleges and universities by the top 20 monopoly companies—including Reliance, Adani, Vedanta, Lakshmi Mittal, Bharti group, Azim Premji and so on. They are establishing rich private English medium schools and colleges and universities into which no SC/ST/OBC/Shudra from rural areas could get in. Even though a section of Jats, Gujjars, Patels, Marathas that are fighting for reservation in the North India, could afford because of their hold on agrarian economy they never realized its importance. They were/are mad linguistic chauvinists of their regional language. This is what the Brahmin /Bania English educated elite want so that the power of English could remain in their hands. The Shudra agrarian castes have never understood the link between English education and Delhi power. After four years of RSS/BJP rule they seem to have realized that the Brahmin/Bania forces have become more powerful than ever before. Hence asking for reservation but the English educated forces in top judicial system will not allow that to happen. It is this English educated class that interprets constitution, mostly in their favour. The ST/SC/OBC/Shudra children and youth can never get into these institutions as they could not enter into the best of the Catholic schools and colleges like St.Stephen’s of Delhi or St.Xavier’s of Mumbai for last several decades. Now they cannot get into the rich private universities because of lack of that kind of elite English and money. The lower caste/ community children have only one way to get the English medium education. They have to force the State Governments of all states to make all Government schools to teach in English medium. For that these castes and communities must overcome the hatred and fear of English education and fight for that language medium of study in Government schools. All the major public and private schools, colleges and universities run in English medium where the presence of Shudras like Marathas, Patels, Gujjars, Jats, Kammas, Reddys, Lingayats, Yadavs of all states, the Shudras of Bengal, Modaliars of Tamilnadu is marginal, leave alone that BC/SC/STs. Unless these castes take initiative the Government sector does not change the language policy in the provinces. The very same English educated Brahmin/Bania intellectuals injected anti-English culture into the psyche of the all Shudras—higher and lower. Thus the, the Shudra castes themselves helped the Brahmin/Banias to sustain their power by refusing to learn English in this globalized times. They also injected a fear that no first generation school going children can learn English, as it is a foreign language. They never let the examples like Mahatma Phule, Ambedkar or this author, who not only learnt but mastered English without even going to the Christian or Non-Christian English medium schools within one generation of learning, reading and writing . They do not let them realize that the English is an easiest language that the children from the productive castes and communities could learn much better than any Indian langauge. The higher Shudras like Marathas, Patels, Jats, Gujjars, Kammas, Reddys, Lingayats, Vakkalingas, Nairs and Menons, Modaliaras (except the Shudras of West Bengal) and so on, realized, of late, that their position in Delhi power structure, in the national and international markets, is very poor because of lack of English education and reservations. Their feudal estates—the landed properties—no longer allow them to control the power structures of Delhi and also the massively growing capitalist industries and markets both in India and abroad. They are slowly realizing about the link between bureaucratic power and globalized English language controlled market system. Their feudal estates are shifting into the hands of monopoly industrialists in the form of special economic zones. The old Shudra feudals have now become rich farmers without understanding modern markets and new Mall Economy. They are just sellers of their produce in the Bania market that is linked to the international market. In one of my recent interactions with one of the richest Private English Medium Universities—The Ashoka University Haryana—alumni, who have undergone high end leadership training course I found that there was not a single Jat or Gujjar, or Patel in that group. They were all Brahmin/Banias with a sympathetic understanding towards poor and lower castes. There are no organic English speaking and writing intellectuals from the agrarian Shudra communities. They need motivational drive into English medium education. Each year the Shudra/OBC/SC/ST exclusion from the main market of India is increasing. Top industry both of hardware and software is run by the Banias and Brahmins who have international standard English educated force that is acquired skills both in foreign and Indian schools, colleges and universities. All ideological forces– the right, left and liberal Brahmin/Banais– are comfortable with the present private English medium education and regional language ghettoized Government sector education. The Shudra/OBC/SC/STs must break this monopoly of these caste/community elite. The lower caste forces must begin to celebrate English language education as Indian. The double standards of the Brahmin/Bania elite must be fought with the same weapon that they control the lower castes—once Sanskrit and now English. Therefore, new slogan “Bahujan Bache English Pado, Brahmin Bache Sanskrit Pado”, makes sense. The youth from all the Shudra/OBC/SC/ST communities should not remain in the regional language trap and in the grip of the propaganda that English is foreign language. English has become a very powerful Indian language that controls the power, industry and communication structures of India. It survived here more than two hundred years. Hence we must own it, learn it and rule the nation through it. Therefore, celebrate the birth of that language on 5thOctober to motivate ourselves.